Glasses wearers rejoice! Thanks to 3D printing the days of ill-fitting glasses are over, and getting the perfect pair will get a lot easier. If you wear glasses you will understand the struggle of trying to find that elusive pair that fits you perfectly, is totally comfortable, and suits your style. Anyone who doesn’t wear glasses will know the frustration secondhand. You might be quick to dismiss the angst felt by a glasses wearer during this search process as a vanity issue. But, that just simply is not the case. Despite the fact that every single face (and head) is different, most glasses are based off of standard models. Therein lies the problem. It is physically impossible for standard models to create the individual fit that glasses demand. However, 3D printing will change how glasses are designed and produced ultimately, making it infinitely simpler to find that ideal pair. 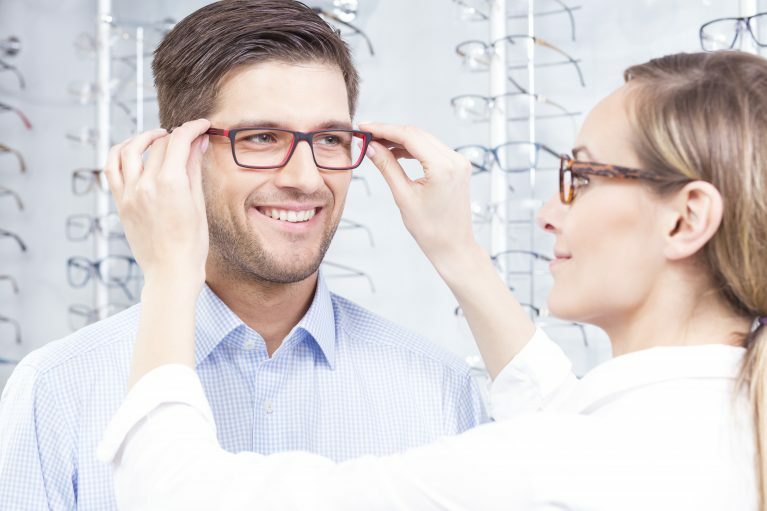 Glasses are so ubiquitous that they often go unnoticed, but make no mistake the eyewear industry represents an impressive market. In a recent report by Global Market Insights, projections expect it to grow to 165 billion USD by 2022. To put that number into more tangible terms, that would be 3.77 billion pairs of glasses. And although there are countless brands, looks, and fits, most glasses wearers attest to having to compromise on style, fit, or both. Posing a unique challenge, the perfect pair of glasses has to combine comfort and look, while at the same time correcting the wearer’s vision The delicate balance between aesthetic and ergonomic fit is not easy to find, but technologies like 3D scanning and printing can make it a lot easier. For example, trends already suggest that “In the future, customers will be “3D measured” for specific medical and face-related data” (Forbes). Around the world prominent designers are beginning to create entire collections based on the use of 3D printing technology, a shift that will likely disrupt an industry that has largely been dominated by a few major players. All the better for glasses wearers, who will no longer have to suffer through standard models. In truth, there are many here are just 3 reasons why business use (and, if they aren’t already should) 3D printing technology to design and manufacture glasses. Poorly fitting glasses fail to fulfill user needs. They don’t look right, they don’t feel right. 3D printing gives manufacturers and opticians the ability to adapt largely standard models to their customers. Rather than being produced enmasse, glasses could be made using individual scan data of the wearer. From an ergonomic fit perspective this is great news, it means no pressure points behind the ears or on the nose and less slipping. More accurate facial data, collected with 3D scanning, will be particularly helpful for patients with „facial asymmetry, disfigurements, or sensitivity“ (ICO Matters). Those who are very style conscious can take advantage of 3D printing to „avoid brand names altogether, instead favoring their own designs“ (ICO Matters). Of course the translation of scan data into 3D models requires a software like paramate to make it accessible to average users. For now companies like Mykita will lead the charge. Mykita’s Mylon collection uses SLS to produce each frame, which can be fully customized to the wearer. Their line My Very Own combines “3D scanning, parametric design…and 3D printing…to create glasses where design and fit are specific to the topography of each face” (Eye Wear Glasses). Mykita is just one company using technology to establish custom fit as the new standard. One technology can change an entire business model or supply chain for the better, and 3D printing is poised to do this for the eyewear industry. Incorporating digital production methods (like 3D printing, software, or scanning) improves production times for custom frames and can streamline the ordering process. A glowing example, eyewear producer Roger Bacon not only uses 3D printing to manufacture their custom frames, but also other technologies to integrate the scanning and ordering process. 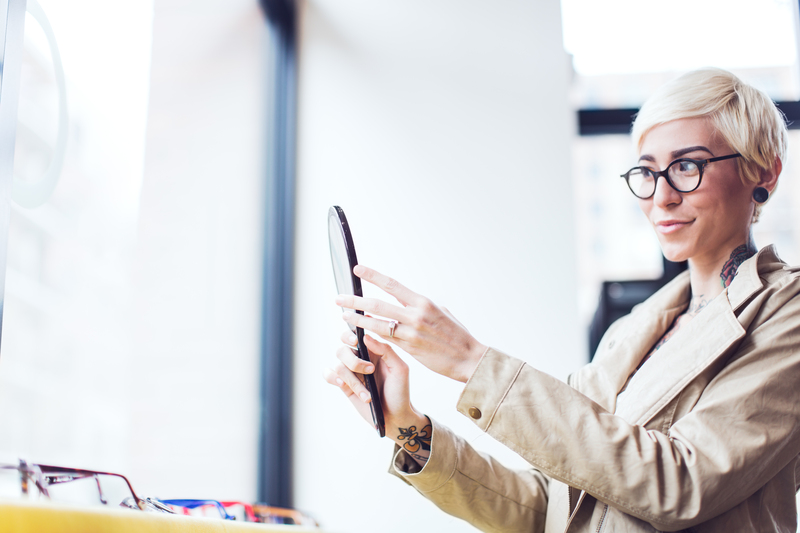 With the help of “a biometric scanner attached to an iPad” opticians can collect patient-specific data, which is used to tailor the frames. In a final step, the “orders [are] then placed on the same iPad” (com). Other, as yet untested, concepts are just as interesting and potentially, positively disruptive. 3D printing frames for each patient could mean the end of frame buy ins, which force retailers to make a minimum purchase of new collections. Instead retailers and opticians would produce what their customers actually order, because 3D printing more readily allows for on demand production. When it comes to introducing new business models, the sky is the limit and there is no telling what 3D printing could do. Most of the time custom frames are prohibitively expensive. But 3D printing could offer consumers the chance to get tailormade glasses for less. That’s a fringe benefit of 3D printing it “make(s) the per item cost of producing one of something the same as the per item cost of producing 10,000” (BOF). As technology improves the production costs will likely continue to fall. Lower costs are good news for people who frequently change their look, break, or misplace their glasses. Savings are also to be had by combining 3D printing with modelling software. Opticians could use software like paramate to take over complex and often time consuming design tasks, ultimately reducing costs. Digitizing the design process has the added benefit of making it more reproducible. A customer’s specifications and previous glasses would be readily available, which could also make reordering simpler and less expensive as measurements don’t have to be redone. When it comes to cost 3D printing’s greatest advantage might be its flexibility. Glasses can be specifically created for each customer, tailored to their taste, face and of course their budget. With 3D printing, design limitations will become a thing of the past. Thanks to digital manufacturing technologies, businesses will enjoy more flexibility and lower production costs. And of course, wearers will get exactly the pair of glasses they want. They might even have the opportunity to take a more active role in the creation process. 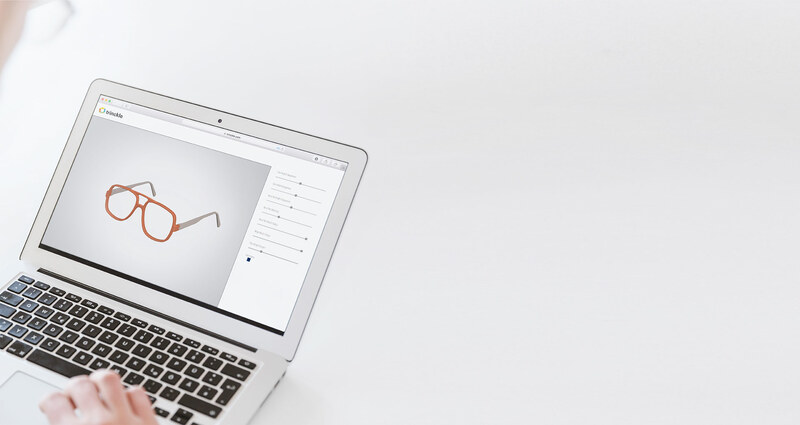 Using 3D printing in combination with software, like paramate, will ultimately create an eyewear industry driven by wearer needs and where co-creation is the norm.